On July 5th we were down a few players due to the 4th of July weekend. 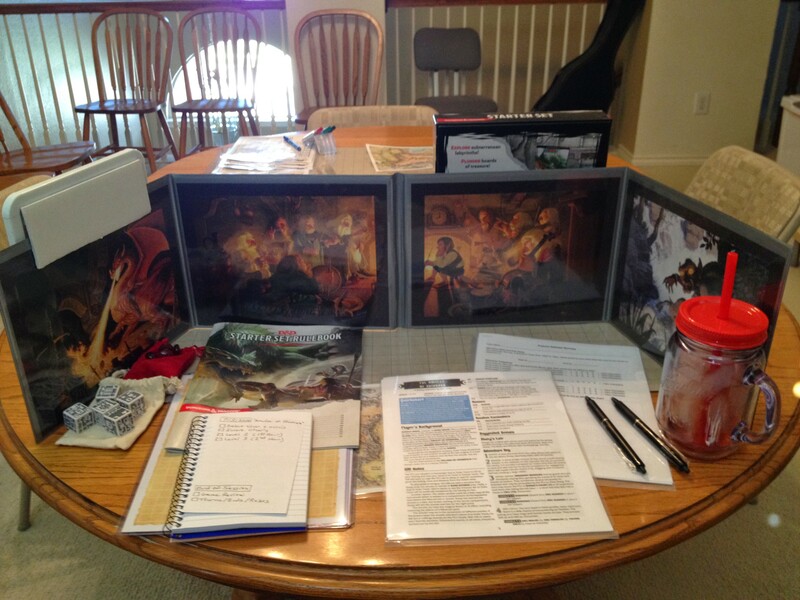 Stan invited a friend who was interested in D&D (interest piqued by being a big Forgotten Realms fiction fan). We had three total players. Stan ran an 1e one shot from an adventure he’d written and run before. A recap of how ‘The Amulate of Shinkara’ adventure played both in 1e (from previous games) and 5e (from this July 5th game) is chronicled at http://swshinn.com/dnd-5e/actual-play-dd-5e-1e-comparison.